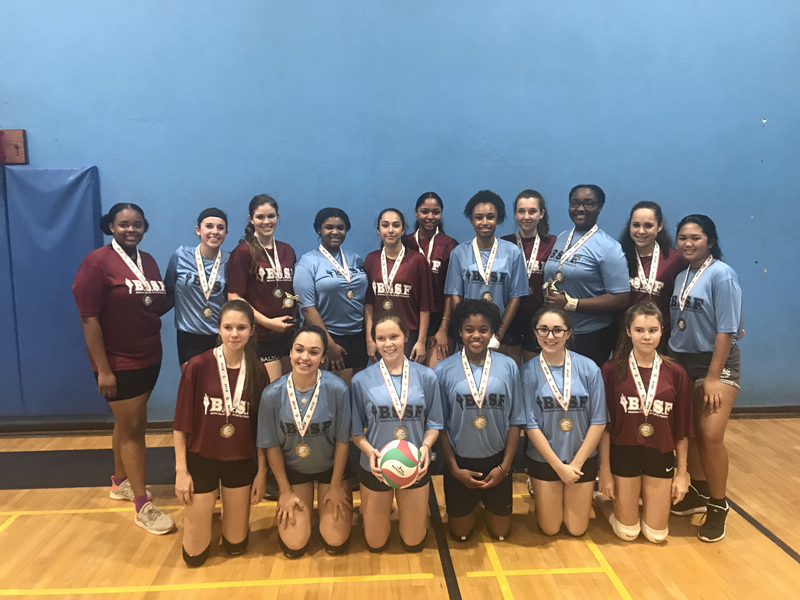 Spectators were entertained with two thrilling encounters at the Bermuda School Sports Federation Senior School all star volleyball matches last night [Jan 18] at the Mount Saint Agnes Academy gymnasium. The east squad won the senior boys match in a three set thrill. They comfortably won the first set 25-13 with some hard hitting offense. The west rallied back in the second set and took a 24-18 lead before allowing the east to coming with in two points in a late rally before winning 25-22. The three set proved to be a see saw battle before the east came out on top 15-13. 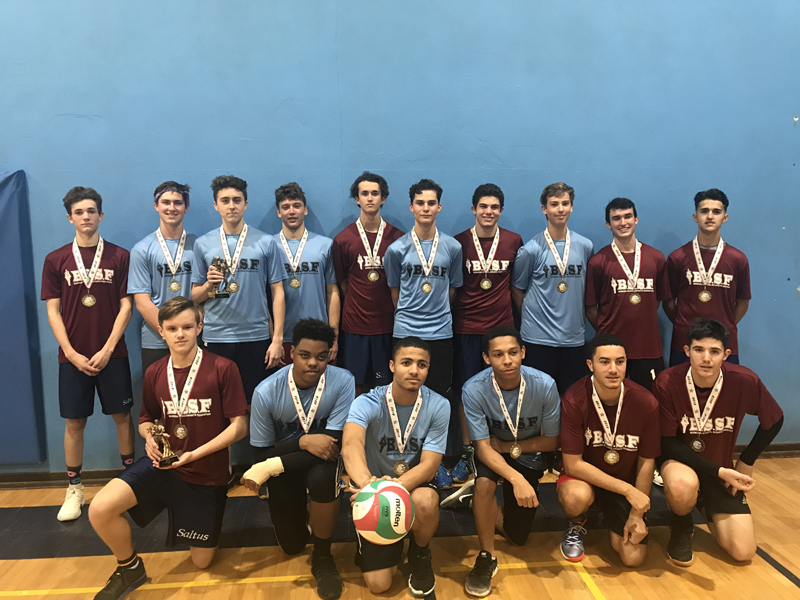 Caleb Hamilton from Warwick Academy was the West MVP while Saltus Grammar School’s Tristan Mullan was named MVP for the east squad behind his strong serving and precise setting. The west enacted revenge in the girls match in another three set nail biter. The east won a close first set 25-22 before the west stormed back to win the second set 25-22. The third set was tied at 14-14 before Kamryn Martins from Mount Saint Agnes finished the match on the back of two serves which couldn’t be returned. The east MVP was Sye McPeek from Saltus for her fierce serving and attacking at the net. Candace Paynter from the Berkeley Onstitute was the West MVP. Paynter was an effective presence both defensively and offensively.